Give your bathroom coastal flair with the Cayman Reef Aqua 2 x 3 Rug. 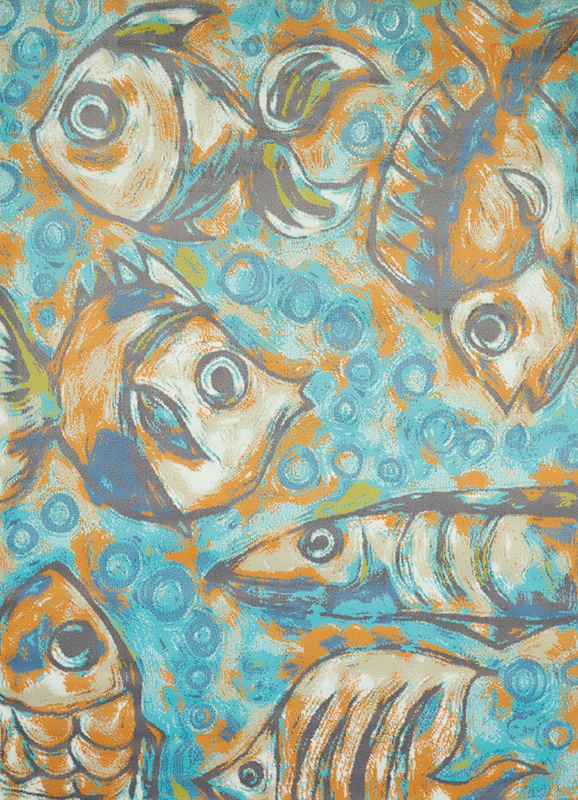 This nautical area rug is detailed with stylized tropical fish swimming across a bubbly scene. For many more pieces, we invite you to take some time to check out our whole array of coastal area rugs at Bella Coastal Decor now.